What is nice about this saying is that it applies very nicely to the steps of intubation as well. 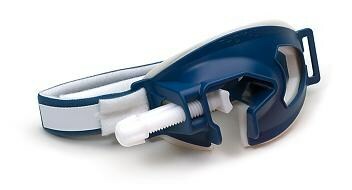 You need to to have everything at the bedside you MIGHT need prior to any intubation attempt. This includes equipment, medications, and any personnel or team members who will assist. If you even suspect this could be a difficult airway, you should have your plan B and plan C options in the room to ward off the evil spirits. 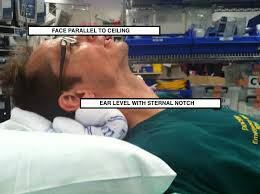 This also gives you the opportunity to talk with you team about the plan for intubation (how many attempts, progression should plan A, steps of what will happen during the intubation and everyone’s roles during the procedure, etc..), as well as reviewing assisting maneuvers (external laryngeal manipulation, etc.). 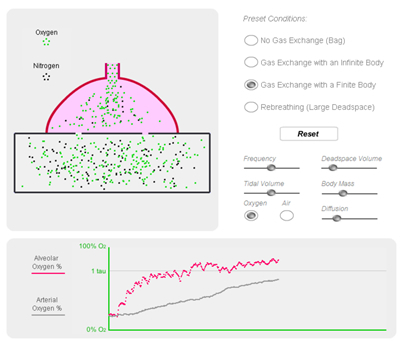 In order to decrease any deoxygenation-related issues during the intubation attempt, your patient should recieve 100% oxygen at 15 liters per minute through a non-rebreather mask for 3-5 minutes. This will properly de-nitrogenate and super-saturate all the hemoglobin and give you the time you need to visualize and intubate. Once you patient is properly sedative and paralyze, you can proceed to laryngoscopy. Once you know you are in the right spot and have been confirmed by capnography, you need to secure the tube. There are different ways to achieve and I often defer to the respiratory therapist or nurse on how they want it secured. There are commercial devices that lock the tube in place and secure using velcro straps, all the way to the old standby of adhesive tape. This is a great site that shows several different ways you can secure the endotracheal tube (http://aam.ucsf.edu/article/securing-endotracheal-tube). Chest xray is the gold standard for the radiographical confirmation of endotracheal placement, as well as ensuring the proper depth. 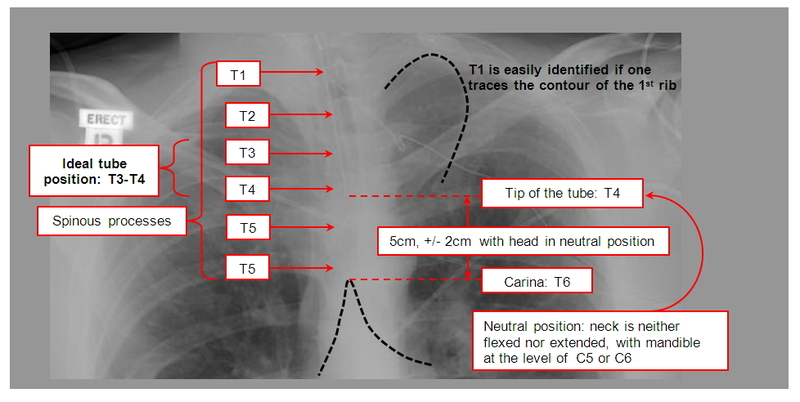 The ideal position for the tube depth should be 3-5cm from the carina or at T3-4 position. Josh Farkas (PulmCrit) did a great review on endotracheal tube positioning and depth just last week. Ultrasound is being used more frequently as a confirmatory tool for endotracheal tube placement. Great review by EmDocs on ultrasound for endotracheal tube confirmation. Now that the tube is in place, secured, and confirmed, you are done right? WRONG!!! Your patient now has a tube shoved into the tracheal and it is a tad uncomfortable. Postintubation sedation/analgesia is PARAMOUNT for good patient care. You should be shooting for a Richmond Agitation Sedation Scale (RASS) of -1 to -3 for adequate sedation following intubation. Weingart SD, Levitan RM. Preoxygenation and Prevention of Desaturation During Emergency Airway Management. Annals of Emergency Medicine. 2012;59(3):165-175.